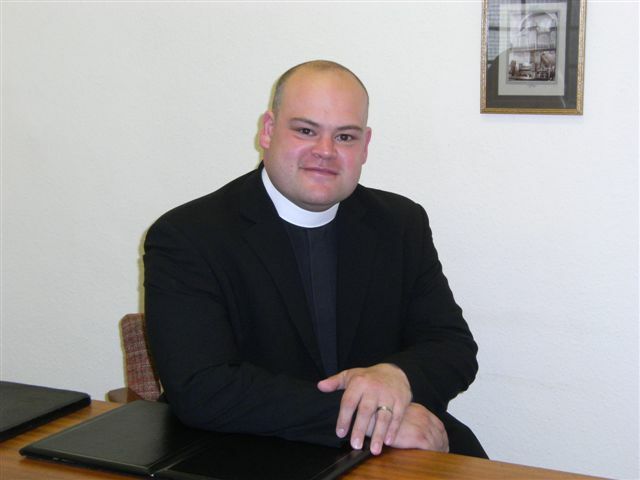 Our minister is the Revd Dr Ian R W McDonald. Ian has been Minister at the High Kirk since February 2007, and this was his first charge. He originally hails from Huddersfield in West Yorkshire, but has lived in Scotland since his student days in Edinburgh. He has a degree in Biochemistry, another degree in Systematic Theology and a PhD on the interaction between science and theology; all of these from Edinburgh University. Ian was privileged to train in some outstanding Edinburgh churches and to work in Orkney and Skye, amongst other places, for summer ministry placements. He is married to Janet, and they have two young children, Thomas and Hester. Ian's main hobby, when he has time, is studying the history and culture of the Normans. He is also partial to a fine cognac and a Havana cigar.